IPEVO - Design for Learning. Can I connect a USB printer to my Mini? No, Mini is not designed to work with a USB printer. What kind of connection is required? Then, you need to connect them together. The following diagram shows how, sans the hard drive. What do I need to build up a network to work with Mini? Make sure Mini, your computer, Ethernet router, and hard drive are properly connected (see the first item in this Q&A list). Make sure that all computers that need to access Mini are either (1) connected directly to the router that Mini connects to, or (2) connected to routers which are directly connected to the router that Mini connects to. Will I need an extra router if my DSL/cable modem works as a router? If your modem also works as an Ethernet router, you do not need an extra router as long as there are enough ports available for both your Mini and your computer. Note: some modems have multiple LAN ports but do not have router functionality. Please consult your modem's user manual. Can I use a wireless router? The diagram below shows a typical wireless router connection with Mini. How do I know that my hard drive works with Mini? Can I use my USB thumb drive (formatted in FAT32) instead of a hard drive? Although you are technically using a USB storage device, we do not recommend using a thumb drive with Mini, nor can we guarantee proper functionality. Does Mini support USB 1.1/2.0? Yes, Mini supports both USB 2.0 and 1.1. In fact, we strongly recommend using a USB 2.0 hard drive for faster file upload/download. Can I browse hard drive contents via Mini? Yes. The Mini locator software (Find IPEVO Mini) allows you to search Mini, connect with it, and browse the hard drive contents. Note: The Browse (hard drive) contents button is available in Windows and Mac OS only. 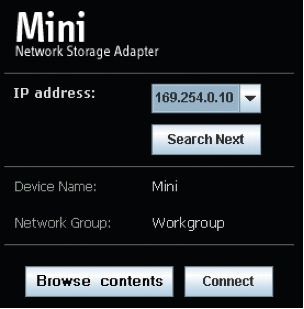 How do I configure Mini? 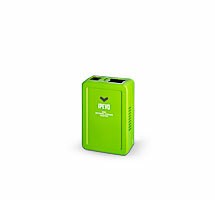 You can access Mini and configure it through a utility software called IPEVO Mini Dashboard. The interface, shown below, opens in the web browser. How much power does Mini consume? Mini's power adapter requires 5V/2A. The actual power consumption of Mini should not become more than 10mW. On the other hand, the hard drive draws a considerable amount of power from the USB port. Therefore, we strongly recommend that you not insert a USB hub between Mini and your USB hard drive. What are the file system formats supported by Mini? You need to format your USB drive in FAT32. Mini does not support the NTFS format used primarily in Windows OS. No, Mini requires physical cables to connect with both the Internet (Ethernet cable) and the hard drive (USB cable). What are the operating systems that will work with Mini? Is there any other system requirement? One of the following as the web browser for Mini's utility software (IPEVO Mini Dashboard): Internet Explorer, Firefox, or Safari. JAVA program. If JAVA is not installed in your computer, the Mini setup program will do it (for Windows) or you may download the latest version of JAVA from http://java.com. Do I need an external power supply for my hard drive? If the hard drive draws its power solely from a USB connector, then it has no need for external power. This scenario should apply to most 2.5-inch or smaller hard drives. For 3.5-inch or larger drives, you need an external power supply by default. Note: there should be no USB hub inserted inside the computer-Mini-drive chain. Can’t find the answer you need? Send us your question. Copyright © 2019 IPEVO Inc.